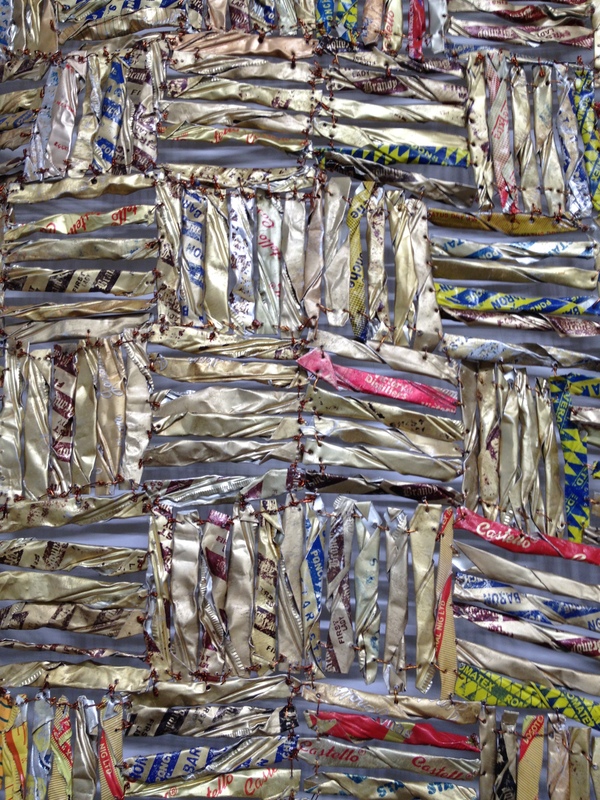 El Anatsui is one of the greatest and most famous Contemporary African artists. His work is in the collections of most major museums throughout the world. I have been an admirer of his constructions for many years. He creates wall hangings and 3-D structures using metal bottle caps, printing plates, copper wire, as well as other recycled materials. In the exhibition at the Jack Shainman Gallery titled “Trains of Thought” there is a huge wall hanging with some interesting mathematical elements. 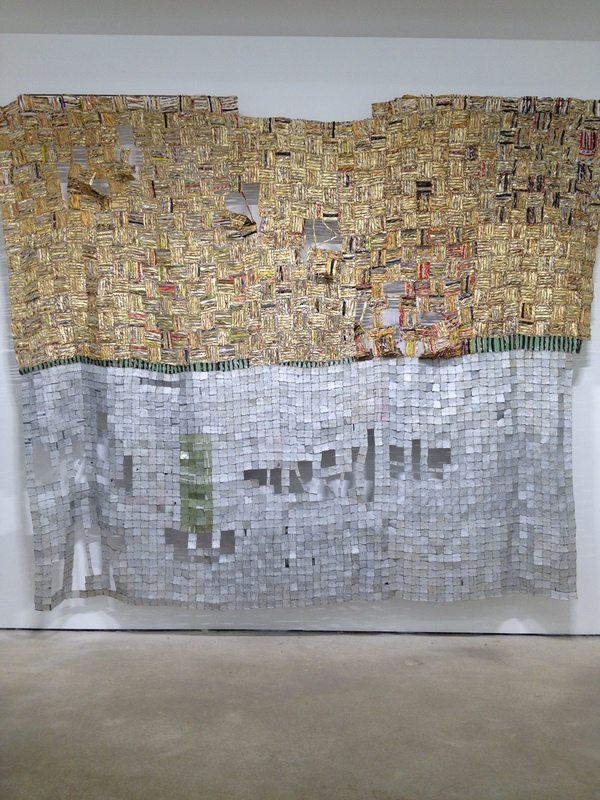 El Anatsui uses multiples of the same type of object and flattens and folds them into uniform geometric shapes. Here is a close up of a top section of the wall hanging. Using narrow rectangles of rolled metal elements he constructs squares. He patterns the squares either with vertical stripes or horizontal stripes, creating a mathematical tiling using recycled materials.